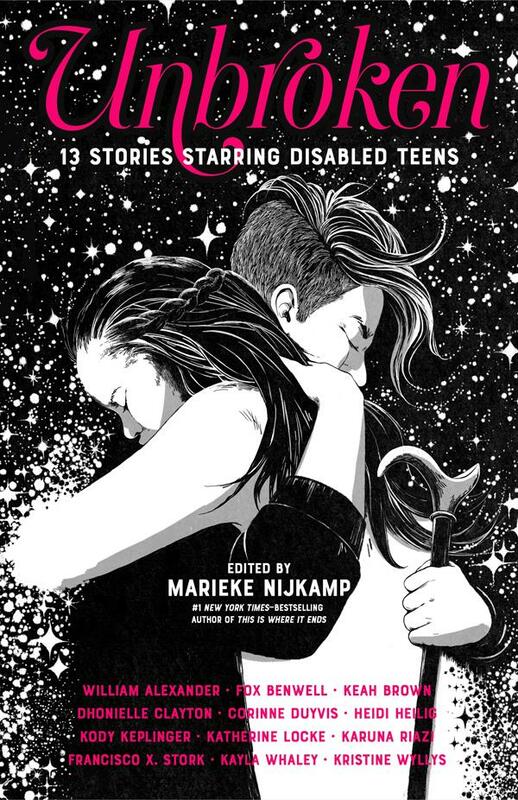 Unbroken: 13 Stories Starring Disabled Teens edited by Marieke Nijkamp. September 18, 2018. Farrar, Straus, and Giroux, 320 p. ISBN: 9780374306502. Int Lvl: YA; Rdg Lvl: YA. This anthology explores disability in fictional tales told from the viewpoint of disabled characters, written by disabled creators. With stories in various genres about first loves, friendship, war, travel, and more, Unbroken will offer today’s teen readers a glimpse into the lives of disabled people in the past, present, and future. The contributing authors are awardwinners, bestsellers, and newcomers including Kody Keplinger, Kristine Wyllys, Francisco X. Stork, William Alexander, Corinne Duyvis, Marieke Nijkamp, Dhonielle Clayton, Heidi Heilig, Katherine Locke, Karuna Riazi, Kayla Whaley, Keah Brown, and Fox Benwell. Each author identifies as disabled along a physical, mental, or neurodiverse axis―and their characters reflect this diversity. Grades 9-12. The 13 stories in this brilliant anthology feature teenagers with physical disabilities, mental illness, anxiety disorders, or autism. The authors of the stories are all people with various disabilities as well, and the stories themselves cover a range of genres. In the realistic “Britt and the Bike God,” by Kody Keplinger, a girl with retinitis pigmentosa rides the “stoker,” or back seat, of a tandem bicycle in her father’s biking club, and she’s both thrilled and horrified when her crush, a boy she thinks of as the “bike god,” is assigned to be her “captain.” Katherine Locke’s “Per Aspera Ad Astra” features a girl with agoraphobia who must overcome her disorder to save her planet. An abandoned carnival is the setting for the creepy “The Leap and the Fall,” by Kayla Whaley, with a protagonist in a wheelchair who must summon the will to rescue a friend, while Dhonielle Clayton’s advice columnist heroine in “Dear Nora James, You Know Nothing of Love” learns to not let her irritable bowel syndrome control her life. The stories feature wide variety and high quality, but most important, none of the teens at the center of the stories are defined by their disabilities. Teens disappointed by the lack of nuanced depictions of disability in YA fiction will cheer for these compassionate, engaging, and masterfully written stories. 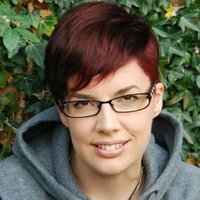 Marieke Nijkamp is the #1 New York Times–bestselling author of This Is Where It Ends. She is a storyteller, dreamer, globe-trotter, and geek.